The Group One-winning son of High Chaparral has received a royal welcome from Australasian breeders with a top quality 2017 book of more than 140 mares. After taking due diligence, we have decided a European tour of duty isn’t in Tivaci’s best interests. “After such a successful season that has just gone so quickly, we have decided not to take up the offer of a Northern Hemisphere season at the English National Stud,” Waikato Stud principal Mark Chittick said. “This decision was not taken lightly. As you know, this option was not in our original planning, but developed after the initial approach from the English National Stud. “However, he would have been one of four first season sires within their operation so we felt his opportunities may become limited and we were not prepared to risk Tivaci on this venture. 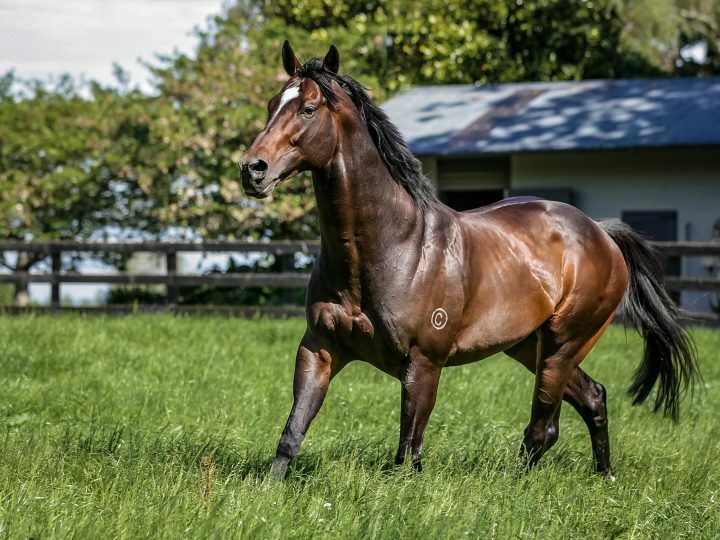 Tivaci joined the Waikato Stud roster after a winning six of his 21 starts culminating in his Group One victory in the All Aged Stakes (1400m). “He is incredible to work with, inside and outside of the breeding barn and he has learned and worked in a very professional manner,” Chittick said. Tivaci’s book included Group One winner’s Daffodil (Australian Oaks, NZ 1000 Guineas, Hawke’s Bay Windsor Park Challenge Plate), Costume (Hawke’s Bay Spring Classic, Herbie Dyke Stakes) and I Do (Makfi Challenge Stakes). He also covered the dams of Group One winners Ambitious Dragon (Hong Kong Horse of the Year 2010-11, 2011-12), Kawi (seven-time Gr.1 winner and NZ Champion Middle Distance Horse 2016-17), Shamexpress (Newmarket Handicap), Brambles (Queensland Derby), Thee Auld Floozie (Thorndon Mile) and Consensus (Telegraph Handicap). The depth of quality of his first season book is emphasised by a further 110 mares to have visited Tivaci being either black type performers themselves, mares to have left have left a stakes performer or are siblings to black type performers.